Pure Barre has done it again!! They’ve created another new amazing class that lifts and tones and challenges you in ways you can’t even imagine! The new Pure Barre Reform classes are filling up every day they’re on the schedule and that has to tell you something!! Our Smarty girls have tried Reform at all 3 studios and we’re totally in love! It is such a great workout & we are certain we will see results the more classes we take. Reform is inspired by resistance training & perfected by Pure Barre. Pure Reform is a total body workout that targets, shapes, and defines all major muscle groups through resistance‐based strength training. The 50‐minute class merges the elements you love from the Pure Barre technique with moves that challenge your strength, coordination and balance by using resistance bands, sliders, and the barre. 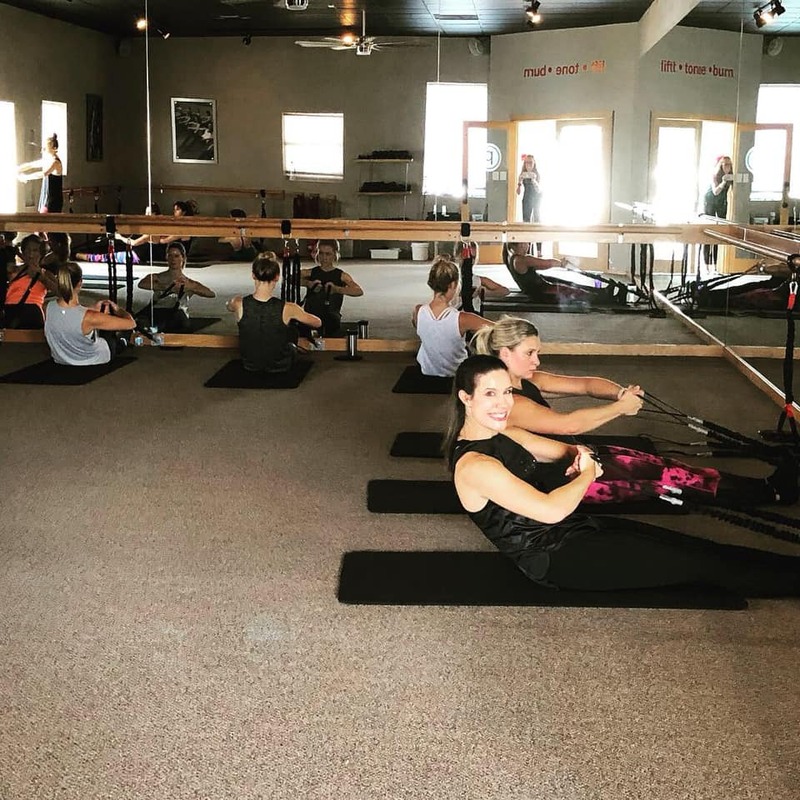 We wanted to give you more insight so we were able to talk with Pure Barre Myers Park Studio Owner/Manager Casie Petty to gain her perspective. How is Pure Reform different from the other Pure Barre classes? Pure Reform is a total body workout that targets, shapes and defines all major muscle groups through resistance-based strength training. Reform merges the elements of Pure Barre with strength resistance bands and sliders. Is Pure Reform harder than the other classes? Reform is a strength-based class that is slower in movements. You can pull out harder on the bands or adjust them to your body strength so we wouldn’t say it is actually harder, but just different. What are your clients saying about Pure Reform? They love it! Reform is hitting different muscle groups which compliments both Classic Pure Barre and Pure Barre Empower (our more cardio focused class). How you use the resistance bands? The bands are attached to the barre and the baseboards. You are using sliders and your muscles to pull back away from the barre to your point of control. It results in amazing toning. How about those sliders? We hear those are a killer but everyone loves them too. The sliders help to really incorporate your core. You have to find your balance using the sliders. This helps tighten and pull up through your abdominals. Do you foresee you adding more Pure Reform classes to your schedule at the Myers Park Studio? Yes! We can only hold 16 clients per class so we are limited on space. We are trying to figure out what works best for our clients and their schedules and go from there! Pure Barre Myers Park/ Charlotte: We have added a Classic class on Tuesday’s at 10:30 and hoping to add more 10:30 classes for our clients! We are in the middle of the Challenge right now which is going great!! Mark your calendars for our Lenny Boy Pop Up on Thursday, November 8th @ 6:30 pm. $5 will get you a 50 minute PB class and a 6oz Kombucha after! Bring a friend and come tuck with us! The Back to the Barre challenge is going strong! We will be hosting donation classes on October 20th to support Keep A Breast Foundation. Cash donations will be accepted. Wear your PINK to support the cause! Sign up to reserve your spot! !